The jewelry remained in the queen’s family for the next 200 years and has never been seen by the public — until now. 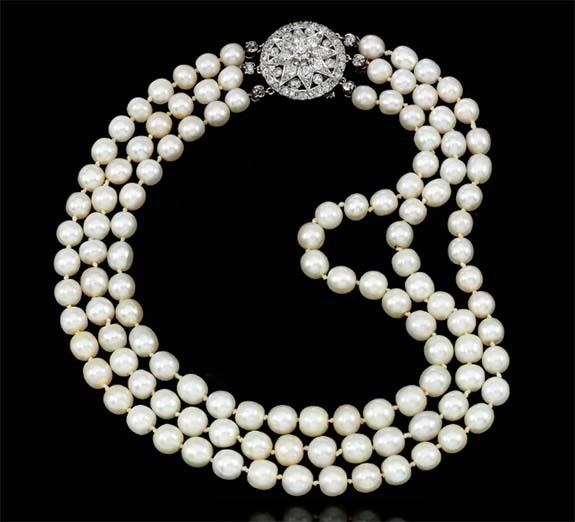 Earlier this week, Sotheby’s New York put on display several jewels from the collection of Marie Antoinette. Visitors to the landmark store were even permitted to try on the regal pieces, which will be offered for sale at Sotheby’s Geneva on November 14. The jewels are currently on an international tour, with stops in Dubai, New York, London, Singapore, Taipei and Geneva. 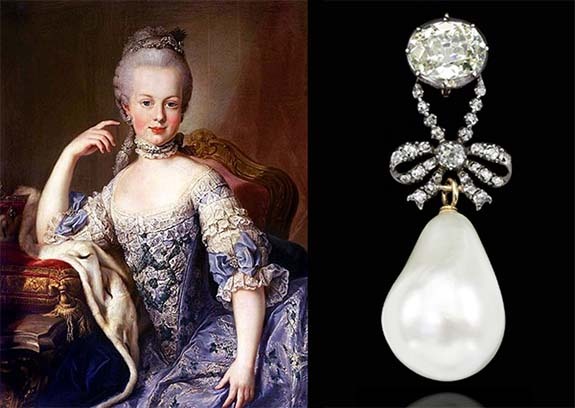 Marie Antoinette’s jewelry is part of a larger auction collection comprised of pieces from the Bourbon Parma family — a family linked to the royal dynasties of France, England, Spain, Austria, Holland and Italy. Credits: Jewelry images courtesy of Sotheby’s. Marie Antoinette portrait by Joseph Kreutzinger [Public domain], via Wikimedia Commons.